The first step is to make your letter and number templates. There are several options for this. Option 1: Use premade letters like bulletin board letters. 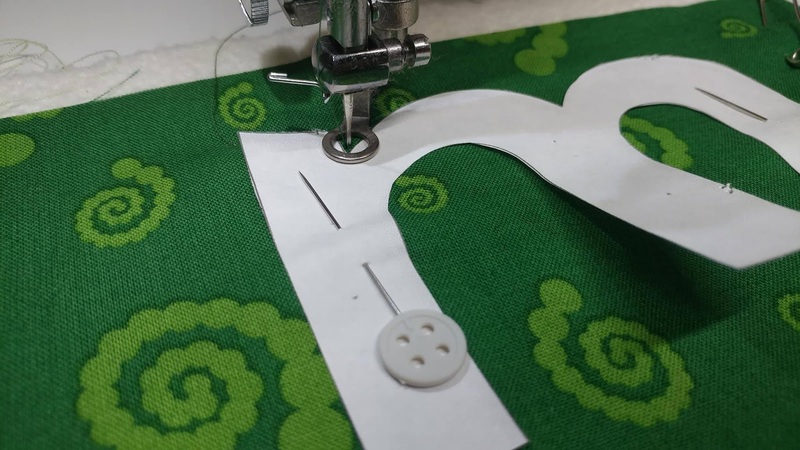 Option 2: Use a Cricut or similar cutting machine to cut letters from paper or cardstock. Option 3: Use a computer program (like Microsoft Word or PowerPoint) to make your letters, print them, then cut them out. I used option 3 to make my own letters. I added "WordArt" into a document, chose a font I liked, and made all my letters the same size (my tallest letters are about 4" tall). I made all lowercase letters, numbers 0-9, and a few symbols and punctuation like #, &, and !. I lay the batting on top of the backing fabric and smooth it out to be flat. 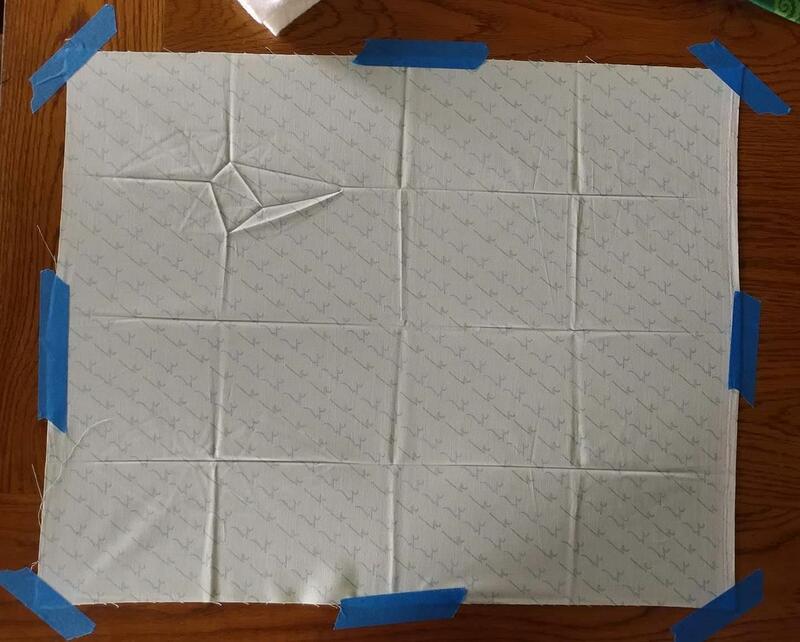 Then I lay the top fabric on, right side up. I try my best to line up the edges with the backing fabric (I lift the batting edges to peek, then shift the top fabric if needed. Then I start in the middle and place a basting pin. I add basting pins moving out from the center about a hand width away. I smooth the top fabric as I go, making sure the fabric is taut. Once the sandwich is complete, pin a letter template in one corner using straight pins. Be sure to place the letter about 1/2" from the edge. 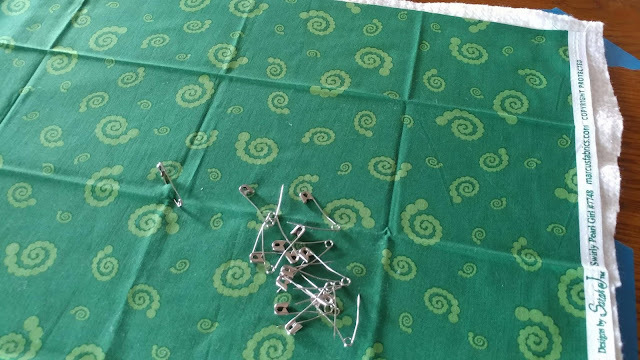 I was able to make my whole set from 1 yard of fabric (1/2 yard for the front and 1/2 yard for the back). Leave 1/2" between letters so you'll have room to cut them apart later. 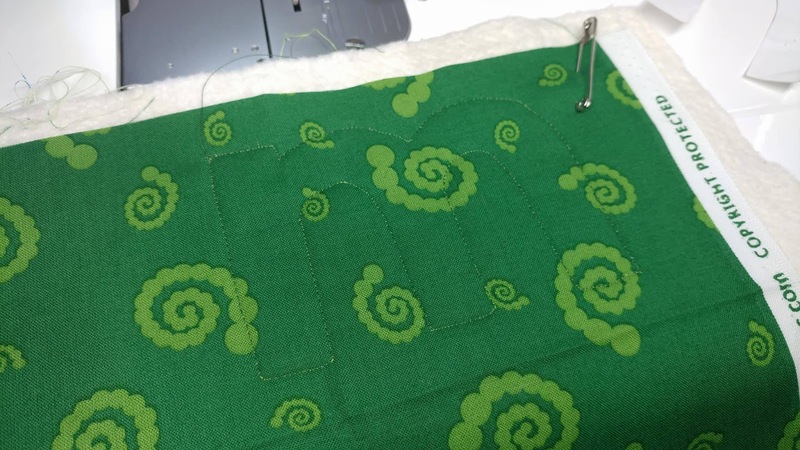 Using a free motion quilting foot (or darning foot), quilt around each letter template. At the start and end, I stitch in place about 3 times to lock the stitches in place. Quilt slowly, keeping the stitches just barely away from the edge of the templates. Continue for each letter, number, and symbol. If you are making the letters for a gift, make sure to include multiples of letters for creating the recipient's name. I also recommend uppercase letters for names and multiples of all the vowels. For example, if the recipient's name is "Sally", I would make two lowercase Ls and an uppercase S.
Once quilted, use pinking shears to cut each letter out. 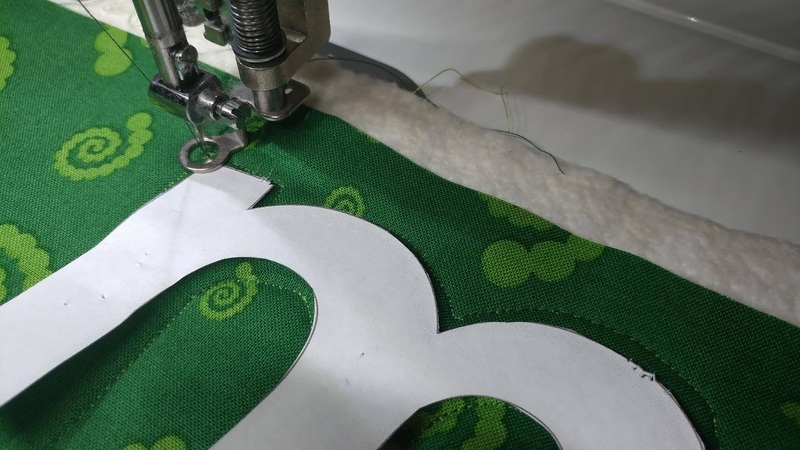 Be sure to cut just outside the stitched lines. I love pairing these with my Speak Love quilt as a baby gift! I can imagine the parents have just as much fun spelling fun phrases with their new baby. I know I would have taken a picture with "I pooped!" above the baby! Ha! 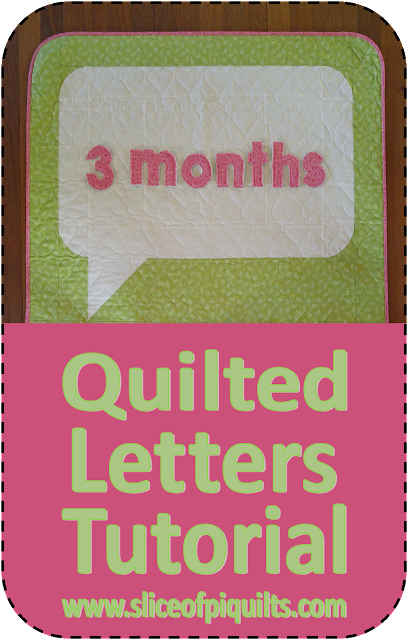 Let me know if you make any quilted letters! 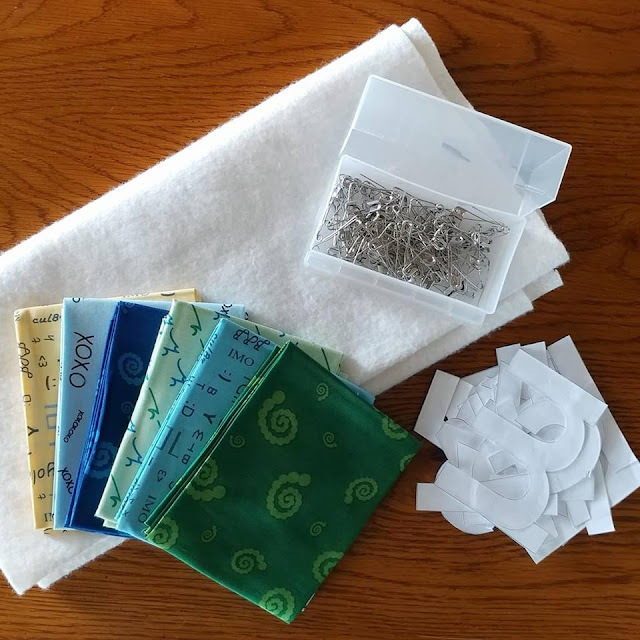 Linking up with Tips and Tutorials Tuesday at Quilting Jetgirl, Let's Bee Social at Sew Fresh Quilts, Wednesday Wait Loss at The Inquiring Quilter, Midweek Makers at Quilt Fabrication, Finished Or Not Friday at Busy Hands Quilts, and Finish It Up Friday at Crazy Mom Quilts. This post contains affiliate links. Clicking on a link does NOT affect the price of the products. If you make a purchase after following an affiliate link, I will get a small commission. This is SO clever! This is so much simpler than some of the ideas I have seen for plush letters for kids. 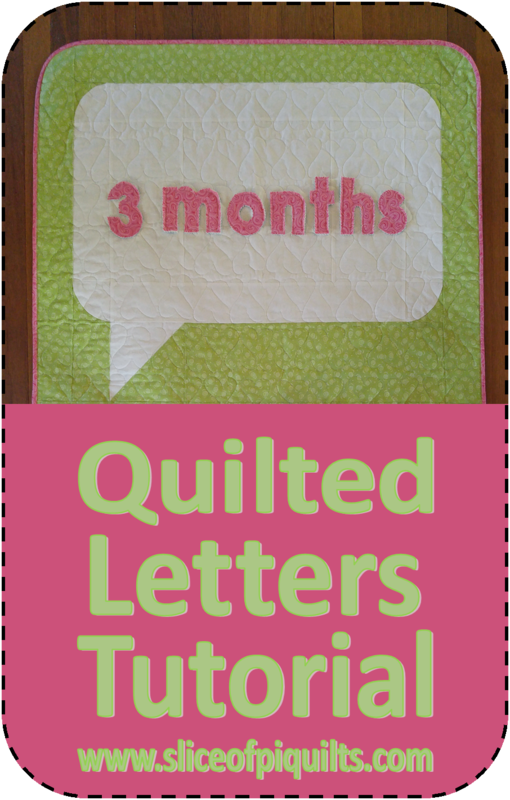 I love the idea of just quilting outside of the letters; what a fast time saver! Thank you for linking up. This is a project I've wanted to do for a while, but I've put off thinking about tracing and cutting those letters. Your tutorial takes all that messy detail away! One idea that I would add is to make the vowels a different color/fabric/with trim so they stand out. Young learners would appreciate knowing where those vowels are! Thank you for this! Excellent tutorial! 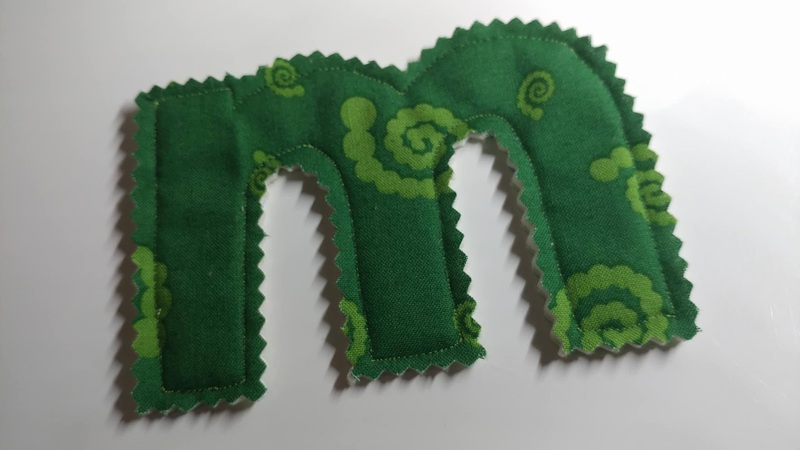 These are fast, simple, and so perfect as a gift for baby. 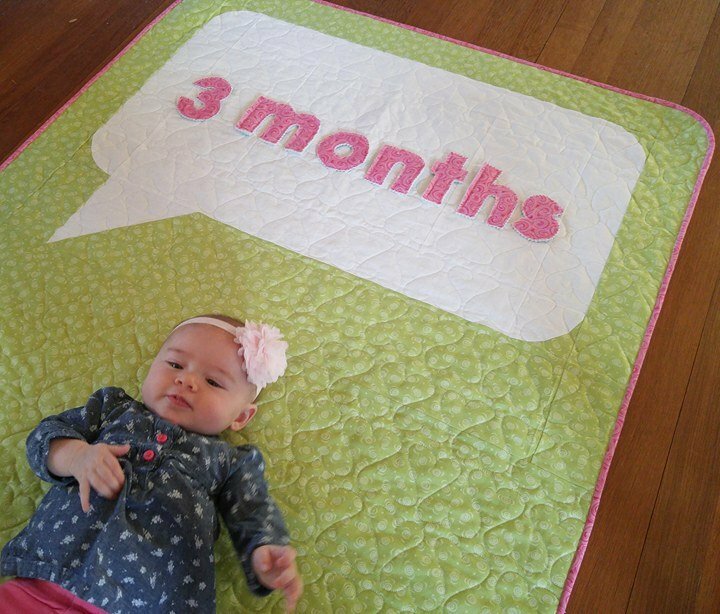 Love your Speak Love quilt because it can be personalized so easily, and it's also fast to make! What a clever idea, littles will love it! Cute baby, btw. That is genious! My grand kids are young enough that I might actually have time to get one of those done before they are old enough to appreciate them. Excellent idea! This is so cute! Thanks for sharing the tutorial with us. Those are so fun! Thanks! What a fun idea! 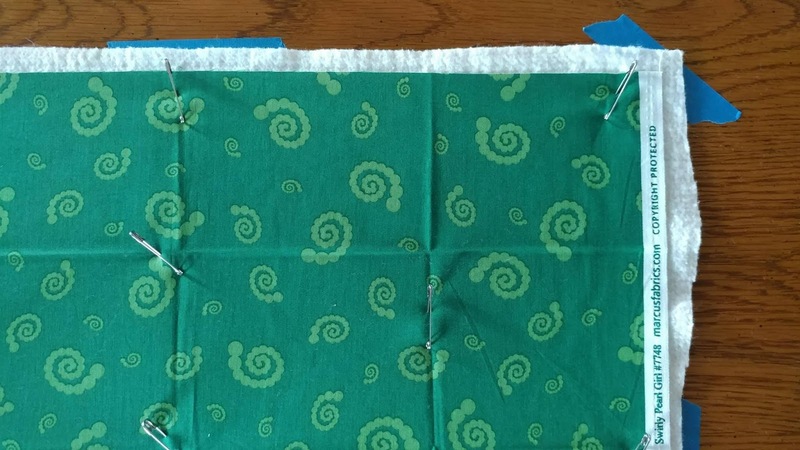 Thank you for the tutorial and for sharing on Midweek Makers! Fantastic idea! I could do this for my adorable nephew and/or my godson. Many thanks! This is a great idea! Love the baby on the quilt and yes, there could be a whole series of interesting comments made above the baby. The multi colored letters will be a big hit, with corresponding appropriate images on each letter. Have fun collecting for that. 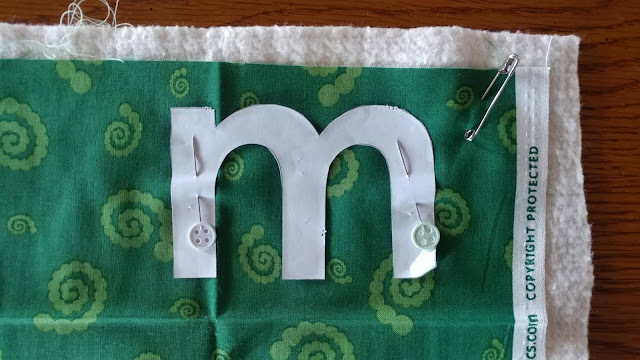 A trick I learned a long time ago is to trace the shape you're going to quilt -- either a background quilting motif or something like these letters -- onto the non-shiny side of freezer paper. 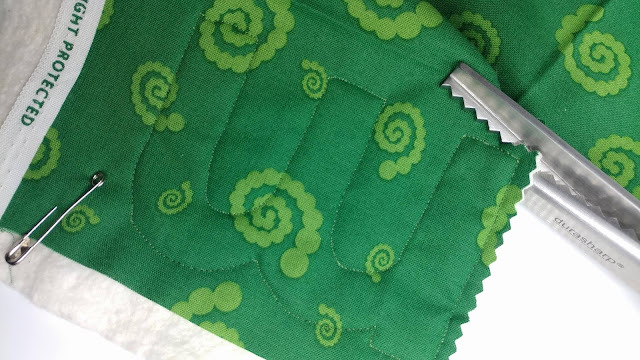 Cut them out and then just iron them down onto the surface to be quilted. 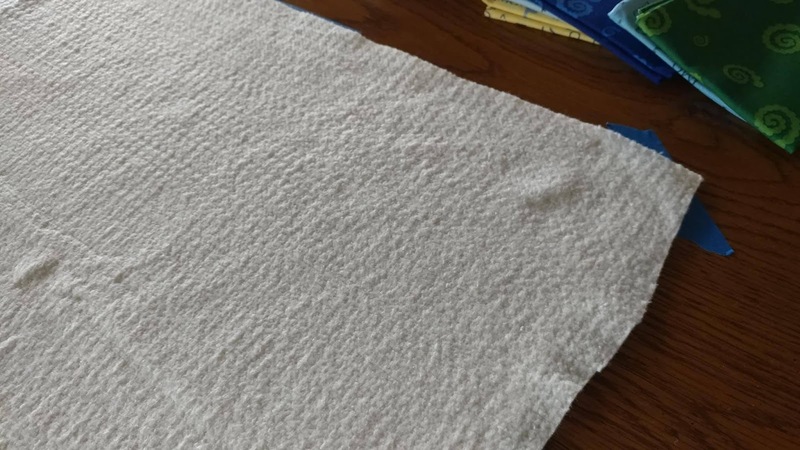 They stick as if glued down, but can be easily peeled off and ironed down again. Hold your mouth right and you can get at least four presses before it won't stick any more.